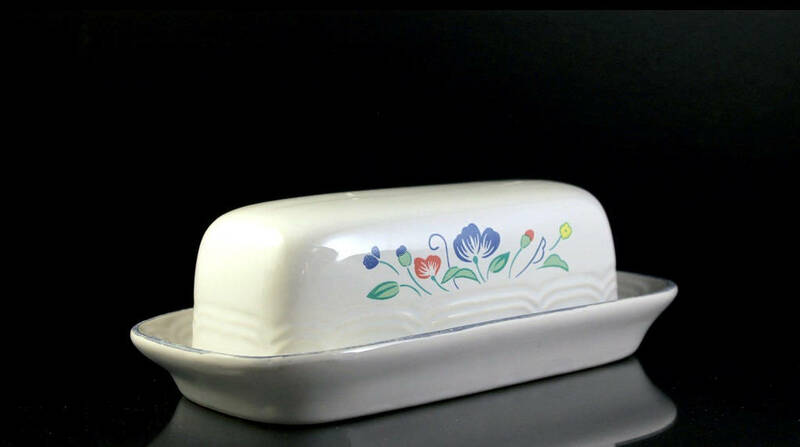 A charming butter dish by Floral Expressions. 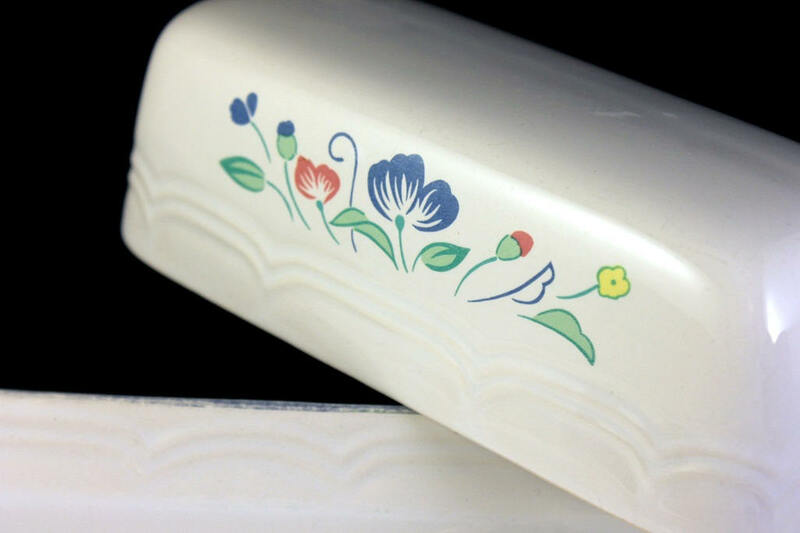 It is the Hearthside pattern of pretty pink and blue flowers. 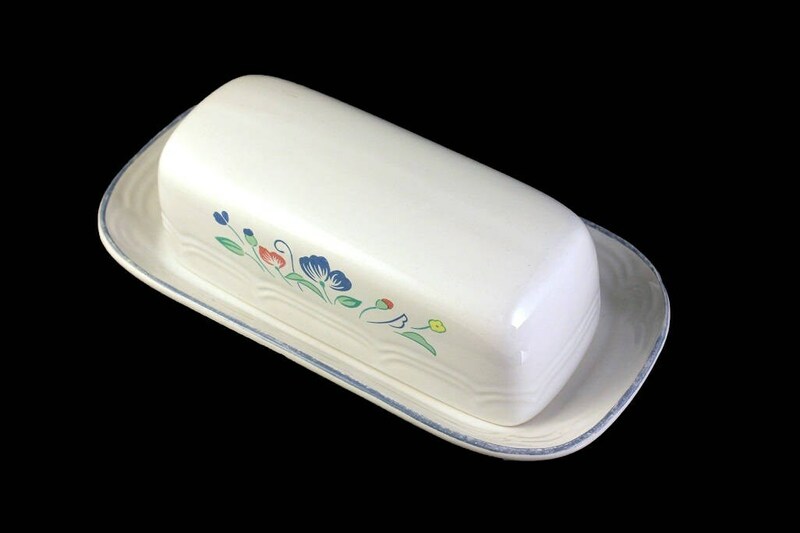 This is a quarter pound butter dish. 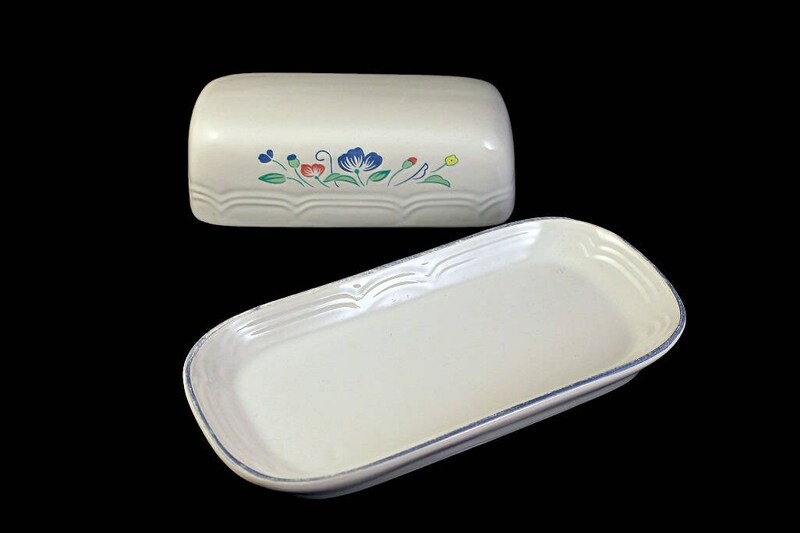 It holds a quarter pound stick of butter and is stoneware. 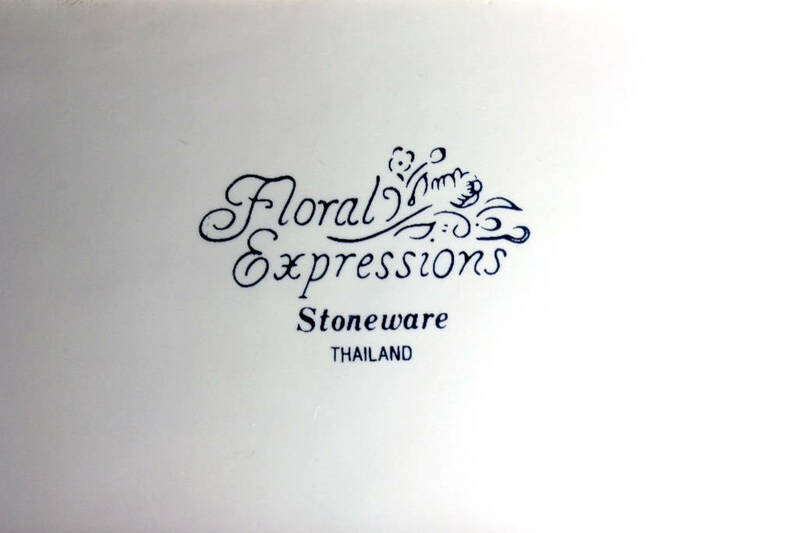 It would be a great addition to your table, sideboard or buffet. 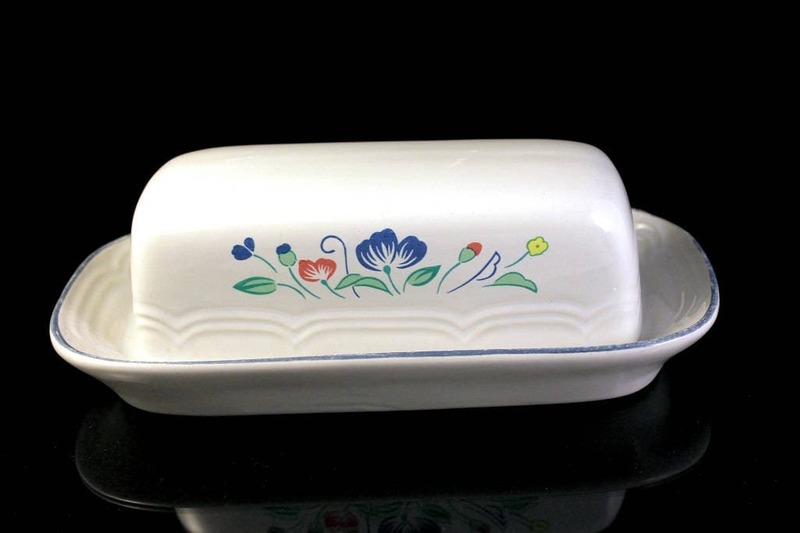 This butter dish is in excellent condition. There are no chips, cracks, or crazing. 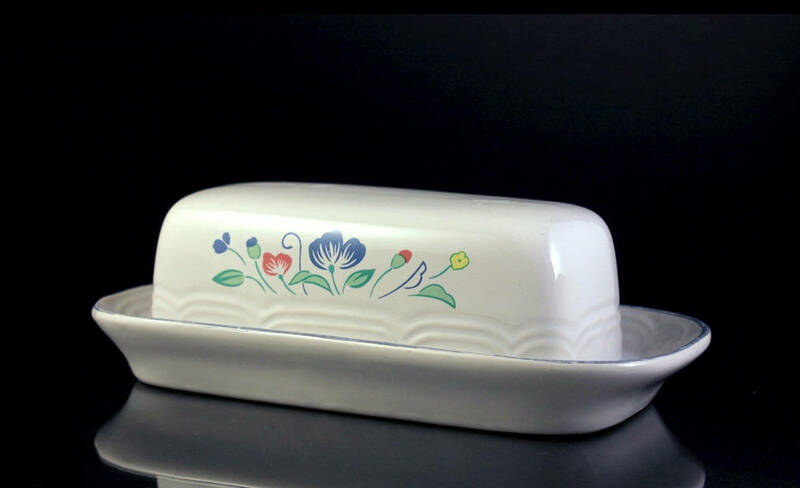 The butter dish has a few rub marks from being used. It would make a great housewarming, hostess, wedding, shower, or holiday gift. A great piece to add to your collection or as a replacement piece.